My name is Linda, and I moved to North Carolina from New Jersey in 2014. I started working at Complete Pet Care Animal Hospital in 2015. Animals are my passion, and I have been working with them since 2011. 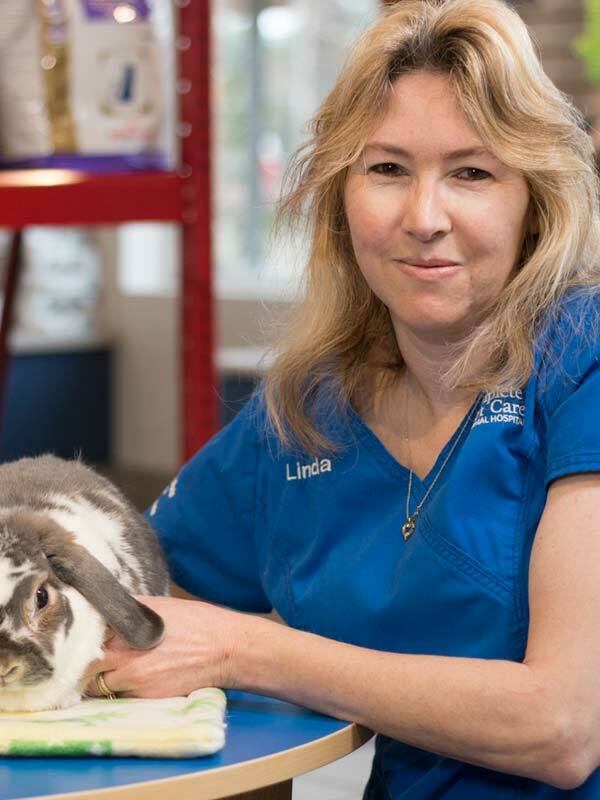 I started my animal career working in a shelter with cats and fostering rabbits for a rabbit rescue. Working in the shelter was very rewarding. I especially loved being able to put fearful animals at ease and helping to socialize them. At Complete Pet Care, I enjoy caring for the pets and love spending time with them since they feel like family. My husband and I currently have four rescue animals – two dogs and two rabbits. We also have four parakeets. When I am not working, I enjoy spending time with my husband and children, going for walks and reading.